Whether you’re a large industry, or just looking to buy a single drain cleaner, we’ll help you find the tool for the job no matter what the drain size. We have a variety or electric, gas powered, and manual drain cleaning tools and accessories designed to easily get the job done. 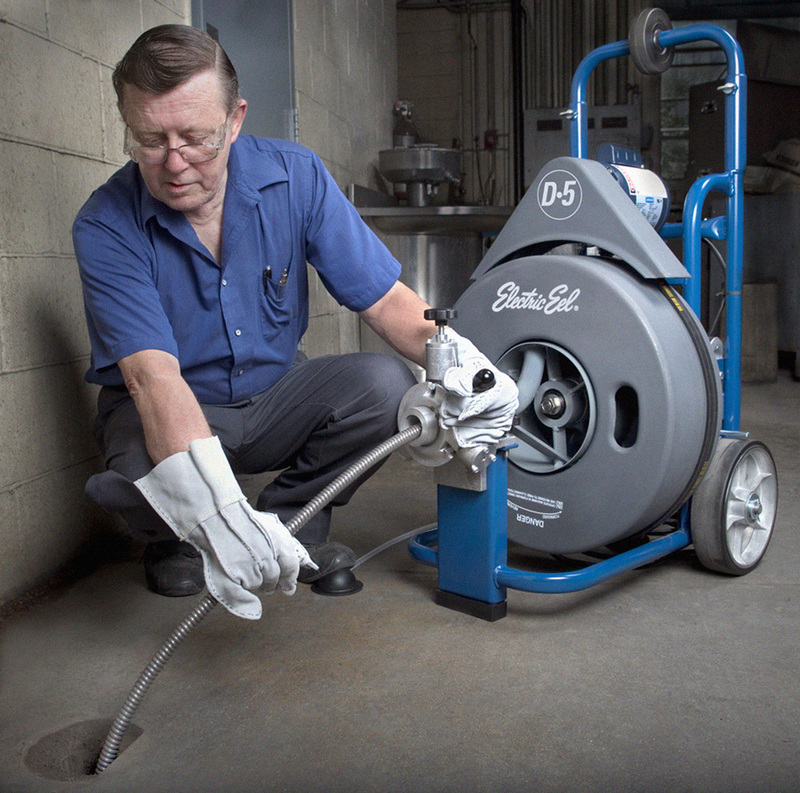 Electric Eel Manufacturing, based in Springfield Ohio, has been a major supplier of quality sewer and drain cleaning equipment since 1939. Originally known for our Model C dual cable sectional machine, we have continually expanded our line of products over the years. In addition to our popular sectional drain cleaning machines, our line also includes drum machines, water jetters, gasoline powered municipal sewer cleaners, and pipeline inspection systems. This full range of equipment is the industry standard for quality and professional design. Whatever you need, We’ll help you find it. We’re your complete source for Drain & Sewer Cleaning from Drainlines to Mainlines! Electric Eel Mfg. is committed to providing the industry’s highest quality Sewer and Drain Cleaning Equipment at competitive prices. Along with this commitment to quality, is our dedication to service and support to all our customers and distributors. We will expand our business in the U.S. through deeper market penetration and internationally by aggressively seeking new distributors with which we can work closely and deliver our quality products.